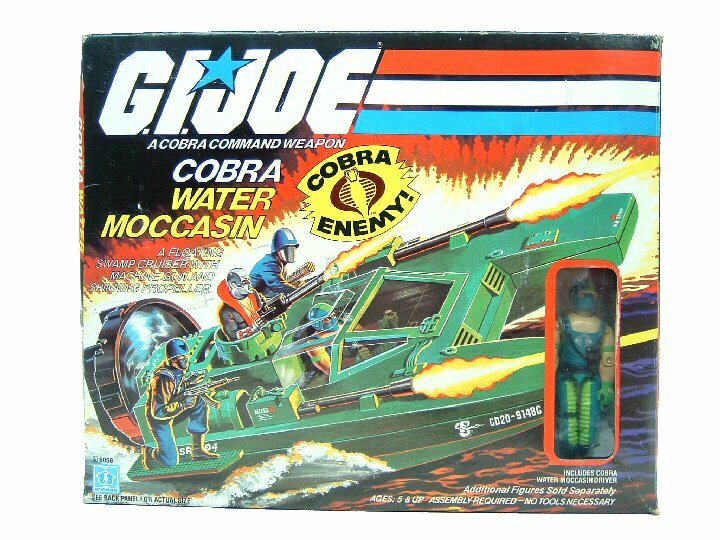 Copperhead was released as part of the third series (1984), and came packaged exclusively with the Cobra Water Moccasin. They were also sold in 1985. In 1986, Copperhead was discontinued. In 1989, Copperhead was available mail-order from Hasbro Direct as part of a six figure vehicle drivers set that included HISS Driver, Stinger Driver, Crankcase, Frostbite, and Thunder. Copperhead came with no accessories.